Arizona State University teams earned a variety of awards at the recent Associated Schools of Construction student competition in Nevada. Seven teams comprised of 47 construction management majors in the Del E. Webb School of Construction Programs entered the event – commonly known as the Reno competition – joined by more than 1,200 students from 35 schools, including teams from Stanford University, Oregon State University, Virginia Polytechnic Institute and State University, Auburn University, California Polytechnic State University and the University of Florida. The Del E. Webb School is part of the School for Sustainable Engineering and the Built Environment, one of ASU’s Ira A. Fulton Schools of Engineering. Each team of as many as six members is organized around a specific competitive category of their choosing. 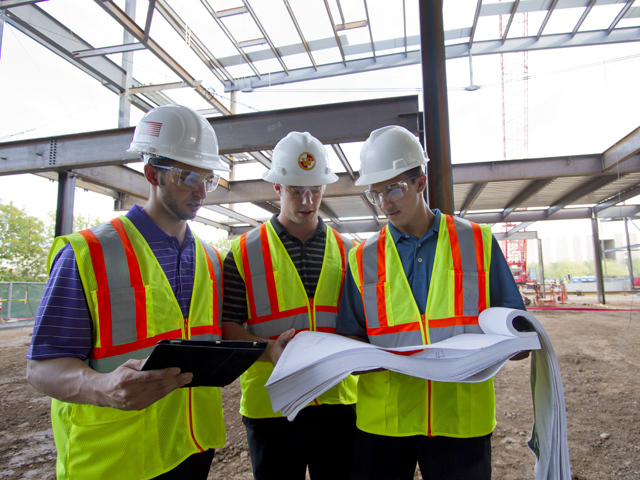 ASU teams participated in the Virtual Design and Construction, Commercial, Concrete, Design Build, Heavy/Civil, LEED (Leadership in Energy and Environmental Design) and Project Risk categories – more than half the available categories. 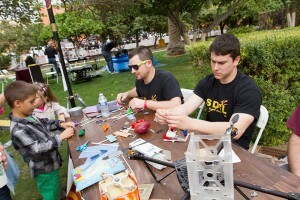 ASU teams placed second in the Commercial competition and third in both the Design Build and Heavy Civil competition. 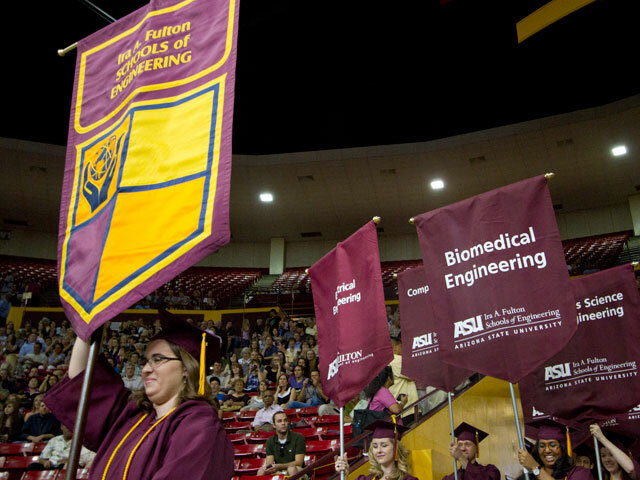 In the Open Division competition – open to both undergraduate and graduate students and teams from schools throughout the country – ASU teams placed second in the Concrete Solutions and Project Risk categories. The competition also provides an Alternate Problem category that allows alternate team members opportunities to compete. Alternate team members are randomly placed on teams with alternates from other schools and given a construction challenge to complete. ASU student Caroline Axiola was on the team that placed first in the Alternate Problem category, while student Cole Woodward was on the team that placed third in the category. In addition, ASU’s Sustainability team was given the Best Presentation award in the Sustainable Project challenge. At the event, various teams assume the role of a real construction company competing to earn a project bid. Each category has a corporate sponsor that chooses a real-world construction project that challenges the students. The teams receive details of the challenge at about 6 a.m. on a Thursday and are given the next 24 hours to put together a proposal and prepare to present it to a panel of judges the next day. Students interested in participating in the Reno competition began meeting a year in advance and the final teams were formed based on interviews at the beginning of the 2012 fall semester. Porti says teams prepared for the competition by gathering historical and baseline data, drafting a reference proposal, attending industry luncheons, prepping on presentation skills and reviewing construction layout and modeling strategies. “ASU was one of six teams to compete in the very first Associated Schools of Construction competition more than two decades ago and I believe we’ve competed ever since” says Aaron Cohen, one of the coaches for the ASU teams and an Associated General Contractors lecturer in the Del E. Webb School. Senior construction management student Skyler Holloway, a member of the Project Risk team that placed second, has represented ASU at the competition on four separate occasions on different teams, including the third place Design Build team in 2011 and the first place Design Build team in 2012. “I’ve learned so much from the Reno competition, from my freshman year on. I could never find a reason not to compete, so I kept joining teams,” Holloway says. The competition concludes with a job fair, giving students the opportunity to meet employers and industry representatives. 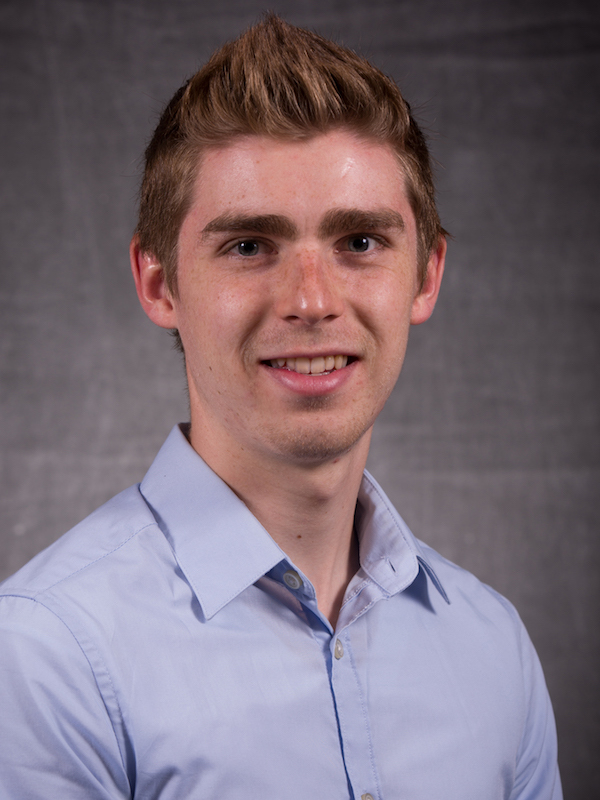 For Holloway, the job fair at the 2011 Reno competition resulted in an internship with McCarthy Building Companies, working on a hospital expansion in Southern California following his freshman year. “There are a ton of opportunities to get your name out there throughout the competition. I appreciated the connections I made and the advice I received from leaders in the industry, especially at the job fair,” Porti says. Edwin Weaver and Kraig Knutson, both senior lecturers in the Del E. Web School, joined Cohen to coach the ASU teams.